In last weeks post, The First Step to Happiness, I shared the importance of authentic connection and modeling genuine love to people in legitimate need. This week, I want to delve a little deeper into something else I touched on in that post. The need to move beyond basic reading comprehension, to making the shift to question what is read and taught. The need to question what is read is not for the purpose of intentionally making others ‘wrong’. After all, exchanging information and ideas is a fundamental practice necessary for our evolution and growth. Questioning information moves us beyond blind acceptance and comprehension, to engaging higher processes of discriminatory thinking. This is one of the faculties needed in order to learn discernment. 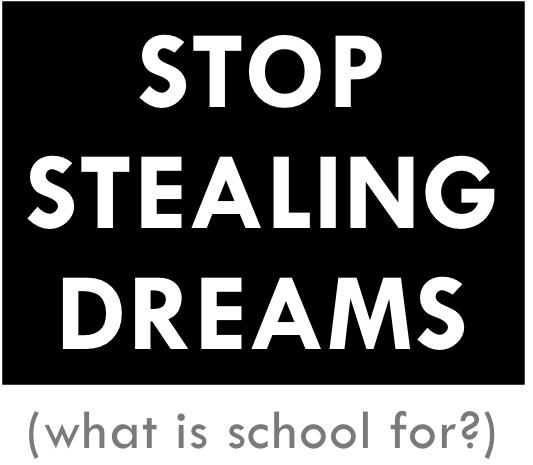 A few weeks ago, Seth Godin released his free education manifesto, Stop Stealing Dreams. If you have not had the opportunity to read it yet, I encourage you to do so if you are interested in the future of education and transformation. At one point in his manifesto, he touched on some possible goals for a new school system. One of the things he pointed out was the need to teach reasonable doubt by using scientific method to question authority and to re-imagine a better reality. I couldn’t agree more. In the movie, Dead Poets Society, there is a scene where Robin Williams encourages his students to climb upon his desk in order to view the world from a different perspective. He also said, ‘When you read, don’t just consider what the author thinks, consider what YOU think.‘ And I feel this is exactly what we need to be encouraging our children and students to do. In a system of education that has been more focused on teaching obedience and compliance then creative thinking, we are experiencing a major fallout from this. We have created a culture that has taught people to believe that others have more power and have the ‘answers’ and not ourselves. When this happens, these deeply ingrained beliefs can keep people stuck feeling helpless and powerless. We wind up looking to the government or other systems of ‘power’ because we did not learn or come to realize that we also have a measure of power of our own. When this is taught and reinforced over and over again throughout the life of a child, is it any wonder so many of us go through life looking for someone else to tell us what to do? This only serves to create a crippling dependency. For a more effective and efficient society, I believe what we need to be doing more of is teaching and creating interdependency. We can help create this shift from dependency to interdependency, in part, by teaching our children and students to not just comprehend what they read in school. But to question what they read so they begin to learn to think for themselves. So they begin to understand the creative power of their own brain. And more importantly, to recognize and own their own creative power. To know that the power is not all ‘out there’ somewhere else, or inside of someone else. They have it too. I believe that teaching, mentoring, and guiding is an essential part of learning. When we create an environment rich in authentic connection, love, and hope in the potential of our young people, we provide a fertile soil that enables them to become who they really are and are meant to be. 1. What other ideas can you imagine to encourage children and students to move beyond comprehension to creative thinking and questioning? 2. How do you currently respond/react when your children/students/subordinates question your methods, beliefs, or teachings? 3. How can we create environments that encourage creative thinking without threatening authority figures? Great post! I couldn’t agree more. 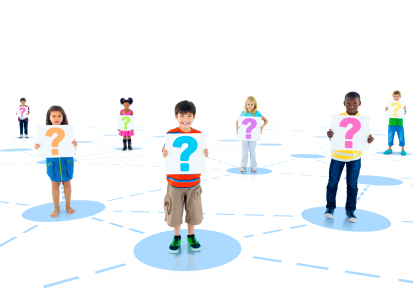 One thing I do to encourage kids to question is model my own questioning process for them. I also have them write commentaries about what we read and the students must move beyond summary into evaluation of the character’s actions, portrayal of characters and their biases. Then they read each other’s commentaries and provide a written response. When my students question something in class that goes against what I’m teaching, I try not to freak out and instead ask them about why they think the way they do. That way if they have misconceptions, I can fix them, or if they have a different perspective we can discuss what it all means. In order to foster an environment that promotes creative thinking without threatening authority figures, I will often teach them how to ask questions without alienating or upsetting others; sometimes the question is good, but the delivery is bad. We use a lot of academic sentence stems at our school to promote respectful conversations. One last thing, I also allow them to answer each other’s questions, so it’s not all from me. It is really important, as you say, to foster love and belief in their potential. If the students don’t feel it, they won’t respond. Thanks for such a wonderful response! I loved your examples and ideas that reflect the importance of modeling your own questioning process. I”m also glad you brought up how you try not to freak out when a students questions what is being taught. I had to smile as I can recall a few occasions with my own children when they challenged what I was teaching them. After the initial ‘shock’ that my own children were questioning their ‘all knowing’ parent, (I say that in jest! haha) I’ve learned to welcome their questions and perspectives. More often then not, I’ve learned something new too! I also love the idea of allowing the children to answer each others questions. Peer to peer. Great practice for real life settings. Thanks so much for such a wonderfully detailed response! At home, when a problem occurs I ask my son (8 yr old) how we could solve it. When we work on math problems from school, I ask how else could he solve it. I love “alundeburgs'” response on asking for more meaning when they read. On dealing with teachers that we don’t agree with, I ask him what he thinks and say that it is ok to disagree. A very simple example that hits home is a particular Kindergarten teacher who told the class they had to wear all green for St Patrick’s day. When I brought home a green t-shirt with a design, my son initially refused to wear the shirt as it was not ALL green. At any rate after we chatted and I got him to reveal what he really thought, he said he didn’t think it had to be “ALL” green. I have gotten better about responding when my son questions my opinion as it is important to not shoot their thoughts down. He is ever my negotiator and sees things from many more angles than perhaps I would. I get to learn in the process. Thanks for taking the time to stop by and add your comments! I love how you consciously take the time to ask your son how he would solve things and what he thinks. That is a good foundation to build on with our children. Very important. Yes, I’ve said a few times that for us parents, our kids can sometimes be our very best teachers in life! 🙂 I love it when my daughter talks about things as I get the opportunity to see the world through her eyes. I find that we are all learning together since she can sometimes reveal a perspective or way of looking at something that I haven’t thought of before, or completely miss. You are so right that our education is stuck in compliance and discipline. The ability of children to think for themselves and have an imagination is vital to their growth. I understand the need for testing. At the same time mandated testing is becoming more important than teaching and true learning. Thank you for a great post. Thanks so much for stopping by Tom. I appreciate your input. You are so right that testing has become more important then teaching and learning. The welfare of the child is not what is ultimately important and it shows. When we treat our children like a number and by the numbers (based on grades) and testing mainly on comprehension and knowledge retention, so much time is lost when it comes to learning practical use of knowledge that the child can intuitively evolve and adapt with according to natural gifts and talents. Thanks again for comments Tom! Your welcome…could not agree more. As in Dead Poets Society, teachers need to stop giving all the answers so people need to think. The same goes for workplaces. Some leaders think they have all the answers and their answers are the ones that need to be carried out. However, if you create an environment in which people can think, create, and do, then you will create a much more engaged and robust organization, product, and servces. So, my answer to one of your questions is that teachers and leaders can set the stage, but then get out of the way and let people think and create! Thanks, Samantha. Some great points here and thoughts on your questions. Great addition to the discussion Jon. I love that…Teachers and leaders can set the stage, then get out of the way to allow their people/students own creative juices to kick in and start flowing. Yes! BTW: I LOVE the movie Dead Poets Society. It provides so many ideas and visual analogies we can draw from as leaders, teachers, and parents that can help us when we get locked in to more legalistic styles of teaching/learning. I have not read the other comments so if I repeat I apologize. To education and learning is food for thought not the answer. When we take thinking for ourselves, and creativity out of the world we have defeated the purpose for education. Finding new and better ways is the essence of moving forward. If you are not moving forward you are falling behind. You are exactly right and you make a great point! What is education really about? What is it’s purpose? If it’s only to create mindless drones, why do we call it learning? Mindless drones are programmed not taught to think. You’ve made an excellent distinction between the two Tom. I noticed after I had posted the second time my first post…..age…is all I can think of…..lol. You are still young….With great things to do…. Really enjoyed this post – such an important message. With articles like this one, Ivy League School’s are overrated, send your kids elsewhere (the controversial #1 viewed New Republic post that’s sparked a much needed conversation/debate http://www.newrepublic.com/article/118747/ivy-league-schools-are-overrated-send-your-kids-elsewhere) it is evident that the education systems, private and public, are failing at many levels. There are many layers in this conversation, but the most important one (I believe) is the emphasis of your piece – children need to be taught HOW to think critically. Done right, this requires any system to encourage, allow and respond to criticism. It must be responsive to the needs of its students by anticipating that as needs are always evolving, so must the system. This is “dangerous” territory for most systems, whose status quo survival is always its first allegiance. Another serious impediment to open discussion in U.S. classrooms is the growing political polarization of what constitutes “facts.” Nothing has evidenced this as much as the urgent need for education around climate change. Is today’s education system simply a service provider for corporate needs? How will today’s students develop the emotional range and flexibility needed to address complex and serious local/global challenges in the future? Thanks again for a very thought provoking and stimulating post. The article you linked to is absolutely BRILLIANT! Before I touch on some of the points made in the article, I’ll address a few of your points first. Yes, the topic of education and learning has far too many layers for us to tackle all at one time and in one sitting. However, one of the most important elements is how we and our children are taught to learn to begin with. More often then not, education (at least in our culture) is primarily designed to teach children WHAT to think with the HOW to think being a very distant second. The focus is generally more on learning how to be a good parrot. And we reward children according to how well they can do that. Then we have children who grow up and parrot out the information just as it was supplied to them via text books. Have you ever seen the movie Good Will Hunting with Robin Williams and Matt Damon? There’s a scene early on where Will (played by Matt Damon) helps defend his friend (Ben Affleck) from the pompous behavior of a Harvard student at a bar, who was trying to show off by making his friend look uneducated and stupid. Clark: No, no, no, no! There’s no problem here. I was just hoping you might give me some insight into the evolution of the market economy in the southern colonies. My contention is that prior to the Revolutionary War, the economic modalities, especially in the southern colonies, could be most aptly described as agrarian pre-capitalist. Will: Of course that’s your contention. You’re a first-year grad student; you just got finished reading some Marxian historian, Pete Garrison probably. You’re gonna be convinced of that ’till next month when you get to James Lemon. Then you’re going to be talking about how the economies of Virginia and Pennsylvania were entrepreneurial and capitalist way back in 1740. That’s gonna last until next year; you’re gonna be in here regurgitating Gordon Wood, talkin’ about, you know, the pre-revolutionary utopia and the capital-forming effects of military mobilization. Will: “Wood drastically underestimates the impact of social distinctions predicated upon wealth, especially inherited wealth”? You got that from Vickers’ “Work in Essex County,” page 98, right? Yeah, I read that too. Were you gonna plagiarize the whole thing for us? Do you have any thoughts of your own on this matter? Or do you, is that your thing, you come into a bar, read some obscure passage and then pretend – you pawn it off as your own, as your own idea just to impress some girls, embarrass my friend? That’s one of my most favorite scenes in the movie. (Well…there’s several but this one is definitely up there!) It so adequately captures the essence of the article you supplied about Ivy League education; where the emphasis is more on ‘looking’ intelligent rather then BEING intelligent. It’s about how much we KNOW (head knowledge) rather then what we are learning and HOW we are applying it to serve the greater good. I also wholeheartedly agree with your statement in regard to facts. That’s a slippery slope for many of us, no matter how well meaning and judicious we are in trying to determine what the facts really are to BEGIN with! : ) Let alone the great damage that has been done to humanity when ignorance is paraded as fact in the hearts, minds, and mouths of people who either don’t care if something is fact or not, or don’t realize that not everything people say and write is factual, even though it is published. As for the Ivy League article you linked to… I can’t say enough. BRILLIANT piece and one I hope is circulated far and wide! So many great points. Another important point the article touched on was a piece I barely began to touch on in my own post and it had to do with the ‘notion of the self’. I LOVED that whole paragraph! And this ties in to the importance of understanding what I only touched on – the power isn’t all ‘out there’. Yet how many of us were really TAUGHT self-empowerment? The majority of us were taught to DO WHAT WE ARE TOLD. It was easier for us to recognize and accept OTHER more then SELF. In that context…the SELFLESSNESS that many of us were ingrained with has become MINDLESSNESS. (not to be mistaken with an empty mind….as we all have plenty of mind chatter etc) Which results in being easily led and manipulated. Ok… writing a book here but I can’t begin to express how much I appreciate you taking the time to share and for supplying us with such a substantially helpful resource to continue this exploration in improving education and learning.